I’ve been thinking about role models for my daughter; specifically, one day last June I found myself wondering whether anybody is selling good inspirational posters of strong, intelligent women that’d look cool hung up in a bedroom. One of the first poster-types I started searching the internet for was “Hedy Lamarr, Inventor.” A poster of her with diagrams from her patent applications would look cool, I thought. Well, I suppose I still think so. But the idea that it’d look great is part of the problem. 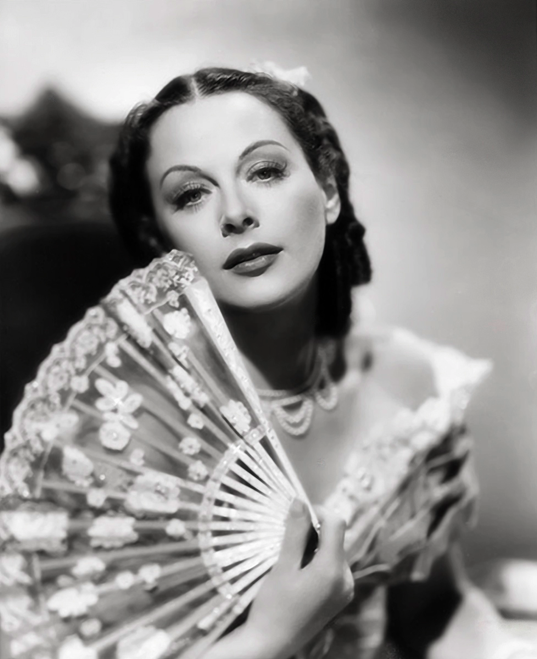 The impression I got from reading Richard Rhodes’s Hedy’s Folly: The Life and Breakthrough Inventions of Hedy Lamarr, The Most Beautiful Woman in the World was that her inventions probably would not be as celebrated if not for the way she looks. Indeed, as she aged, it seems she became increasingly reclusive, so making a poster of her as an inventor, i.e. further celebrating her appearance, even though it was my first reflex, seems like a bad idea. But the invention itself was cute — maybe not “the” precursor to contemporary wireless technologies, as you might’ve heard on NPR, but still clever — the idea that a pair of communicating objects (in her case, submarine and torpedo) could plan out a pattern of frequencies to communicate over and then conduct a conversation while seamlessly rotating through them, akin to using matching player piano roll on each end to cycle through the frequencies in a seemingly random way. Luckily, Mary Pilon’s The Monopolists: Obsession, Fury, and the Scandal Behind the World’s Favorite Board Game taught me about another woman who’d be a good fit for a series of inspirational feminist posters. Pilon also wrote a nice article for the New York Times (the Sunday business section, oddly enough) wherein she presented Elizabeth Magie’s story, which to me was the most interesting part of Pilon’s book. Which I suppose reveals foolish aspects of my own personality, the idea that I’d be excited while reading about Magie inventing a board game, but disinterested in the story of how a handful of (other) people became rich marketing it. And, yes, the story of Ralph Anspach’s legal travails is interesting (he invented the game Anti-Monopoly, where players earn points for trust busting, then was sued by Parker Brothers, then uncovered the early history of Monopoly as part of his legal defense), but the main thing I learned from his story was that a marriage can easily dissolve if you focus too steadfastly on some outside thing. Anspach won his case but lost a lot of his life. Note to self: remember to be good husband / father / friend even while focused on writing. Art by the magnificent J.Dragon of Waffles in Flight. But, right! Happier topics! In this case, Magie as an inspirational figure. First off, obviously I like that she’s an artist who also happened to make a board game. Not sure if I’ve mentioned this in a previous essay, but during a rare spell of free time last summer my brother, a close friend and I made a board game; unfortunately I then got busy again and haven’t had a chance to contact publishers about it yet, but you can see our WordPress site here. So, sure, I’m prejudiced toward liking Magie, but, still: she sounds like a very cool lady. And the game she made was both fun and educational (unlike ours, wherein players just battle using woodland creature avatars). And she printed a classified ad touting herself as a high quality female slave, protesting the position of women in our society (this was in the early 1900s; luckily, women are treated better now than they were back then, even if we still have a long way to go). 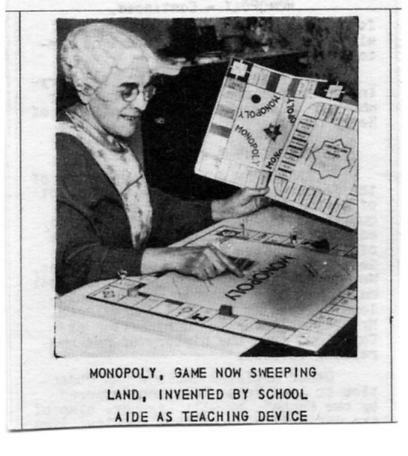 Despite patenting her game, she never saw any of the profit from it. But, thank you Pilon, for giving Magie some of the credit and exposure that she deserves.